Do you need to move some furniture into storage for a few weeks, months or even longer? Did you know you can sort it out without needing to worry about hiring a van, taking a day off work or even setting foot inside a self storage facility? 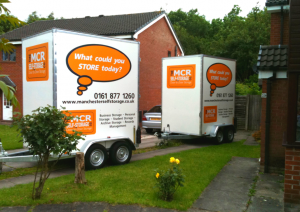 Welcome to the Manchester Self Storage Company, a fully mobile service committed to saving you time, money and effort. In traditional self storage set-ups, it’s the customer who is expected to do all of the hard work. Some will offer deals on van hire but that still means forking out for a deposit, rental fee and fuel; taking time off work or study to drive to the storage facility and manoeuvring a big and unfamiliar vehicle around a massive depot (once your SatNav has finally directed you the right way that is). It’s not exactly very customer-focused, is it? 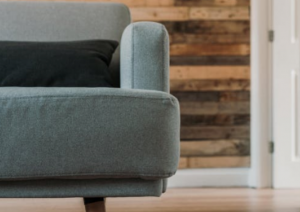 After more than 12 years in the industry, we realised that we could take all that stress and inconvenience away while still offering the peace of mind of a secure home for our customers’ furniture and other items. The mobile self storage process is very simple. Contact us with a suitable date and time window and we will drop off as many mobile self-storage units as you need to accommodate your furniture and any other items. We can also provide you with packaging materials to protect your furniture from damage during transit. Give yourself enough time to pack the units and then select another date and time for collection. Whenever you need your items returning, simply provide us with the location and date details and we can arrange re-delivery, transport to another location in the UK or even overseas shipping. Whether you’re a student with a computer desk from IKEA, a homeowner with a mahogany dining table or a business owner with a room full of office chairs, the Manchester Self Storage Company can accommodate your items with no fuss. 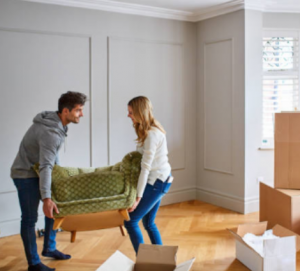 For example, you might find that moving in with a partner leaves you with duplicate items or furniture which you are unwilling to sell, donate or throw out. Or you may have sold an inherited property but kept hold of some pieces of furniture with financial or sentimental value. Another reason to come to us is if you’re planning to go travelling and need somewhere in Manchester to securely store your furniture while you’re abroad. Of course, we store much more than furniture and we can provide plenty of packing boxes for safe transportation of your valuable possessions. In fact, if you’re a homeowner, business owner or student in need of storage for anything at all, we suggest calling us because we can probably help. You may be wondering how we can protect your furniture and whether it might be just as safe leaving it where it is (if you can). For example, if you’re a student travelling home for the summer holidays, you might consider asking a friend or the university halls caretaker to keep an eye on your things. There are two reasons why this may be unwise. First, any burglars in the area will be likely to know students are away and this may convince them to try their luck. Second, your items are unlikely to be insured (unless you have taken out some contents insurance that applies even when the property is vacant). By storing your furniture with the Manchester Self Storage Company, you can relax in the knowledge that it is under 24 hours a day CCTV surveillance and protected by monitoring alarm systems. Our premises are also fully insured. For more details, please email us at info@manchesterselfstorage.co.uk or call 0800 170 1260.